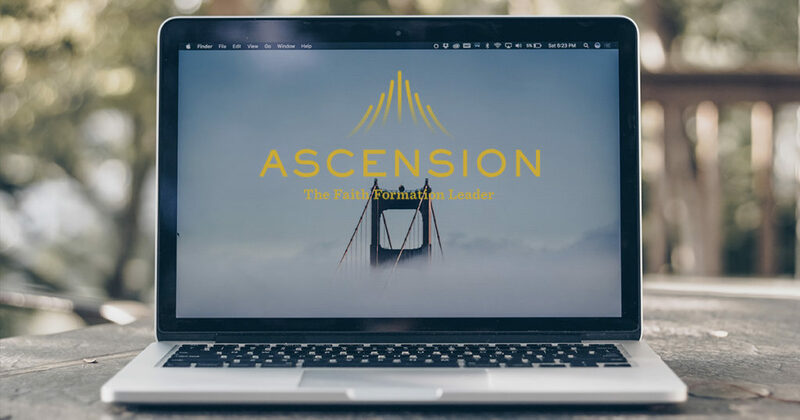 This week on the Ascension Media roundup we have a load of new content that will help strengthen your faith in these trying times. Click on the links below to watch, listen to, and read our latest videos, podcasts, and articles. The Karate Kid didn’t know waxing a car would teach him karate, but Miyagi knew. In a similar way the Church, in her wisdom, teaches us certain motions—kneeling at Mass, making the sign of the Cross, etcetera—so we may learn the deeper virtues that will lead us to holiness. In this video, Fr. 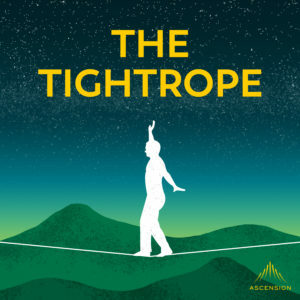 Mike encourages us to keep going through the motions, if that’s all it feels like we’re doing at Mass, because it’s in times of desolation that our faith grows the most. 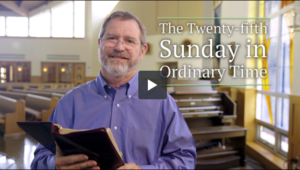 In this week’s Encountering the Word video, Jeff Cavins reflects on the readings for the Twenty-Fifth Sunday in Ordinary Time. You may have to subscribe to our Exclusive Content to view the video, but it’s still free. 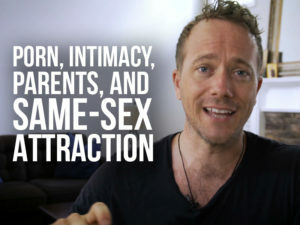 Matt Fradd answers questions from his audience about resisting conforming to social norms, sharing the Faith with non-believing parents, spiritual intimacy, extraterrestrial life, homosexuality in the Church, and more. Write #askmattfradd in the comments, followed by your question, and Matt may answer it in a future video. Father Mark-Mary shares a powerful story about a young woman named Reyna who has been paralyzed by the gunshot of a thief. 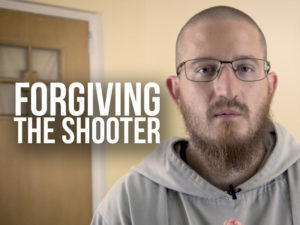 Her experience of God’s grace has comforted her through her great suffering, to the point where she is forgiving the shooter that robbed her, shot her, and left her paralyzed for life. If the power of God’s love can give us the strength to overcome even an affliction such as Reyna’s, what can’t that love do? Welcome to Season 4! 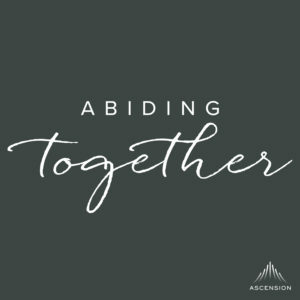 We are so excited to start our new season in collaboration with Ascension. In our first episode we talk about our summers and introduce ourselves to our new listeners. Most importantly, though, we share our perspectives and our journeys through the ongoing news of the scandals within the Church. As we approach St. Thérèse’s feast day, learn how her “Little Way” can help lead you to heaven. Fr. 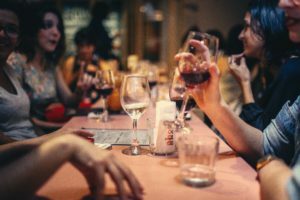 Josh answers questions about taking the birth control pill for health issues, choosing holy godparents, and dealing with an overwhelming loneliness. If you have a question, comment, or response for Fr. 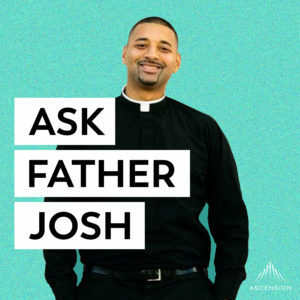 Josh, email us at askfrjosh@ascensionpress.com. You may hear your question or comment in an upcoming podcast episode! Why should we remain Catholic when the Church is infected with corrupt people? 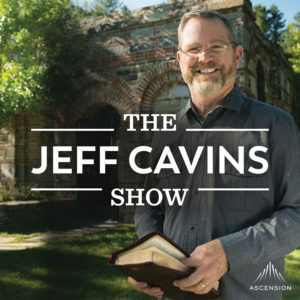 Jeff understands that the Church is in trouble and being Catholic is not easy at this time, but the Church still has something to offer. The answer is simple: this is the Church that Jesus founded. Though corruption has affected the Church in the past, there has also been a lot of good that has come from it. From universities and the scientific method to working for the poor to sponsoring the arts, the one, holy, Catholic, and apostolic Church has had a major impact on the world. Do not leave the bridegroom. Set your face like a flint toward the Cross. 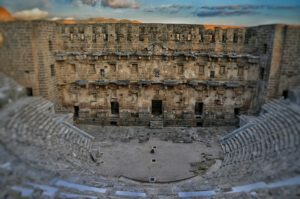 Ministry Minutes: What Kind of Leader Are You? As a leader, are you like Kanye, or are you like Jesus? When Kanye West was interviewed in 2013 by the New York Times, he told the reporter, “I am so credible and so influential and so relevant that I will change things.” Allen says this is the worst mantra for anybody working in the Church, but it seems like there have been plenty of undercover Kanye Wests who have infiltrated the Church at so many levels. Here’s what we have to remember: if we want to change things and influence things, we need to be the type of leader whose main priorities aren’t gaining influence and credibility and being relevant. We need to be leaders and support leaders who imitate Christ. He gained both popularity and notoriety, but never once made a decision based off of what others were going to think about him. Christ had one purpose—doing his Father’s will. 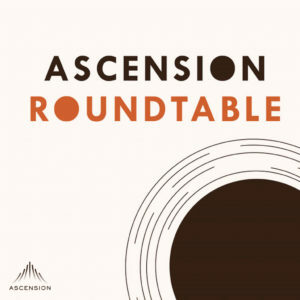 Listen to more on this topic on this week’s Ascension Roundtable podcast. 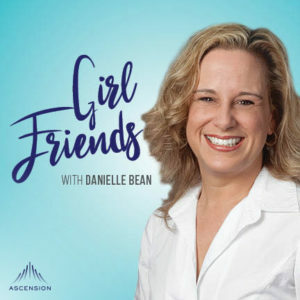 This week’s topic comes to us from a conversation in the Girlfriends Podcast Facebook Group. How can we support our husbands to be the spiritual leader in our homes and communities, the way that God intends? I offer six different ways every wife can do that in this week’s episode. 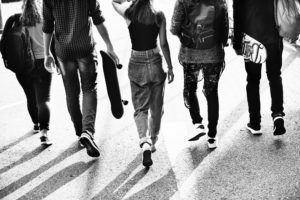 Thirteen is the typical age when young people leave the Catholic Church. If you haven’t read Bishop Robert Barron’s article about young people leaving the Church, you should read it here. In it, he comments on a 2016 study conducted by the Center for Applied Research in the Apostolate (CARA). While there are many findings in the CARA study to discuss, Bishop Barron addressed the most common reasons cited for leaving the Church, noting that these reasons could be easily refuted by basic apologetics. Our parish has a newly ordained priest as the parochial vicar, and it has been a delight to watch him work his way through the Mass, carefully finding his spot in the lectionary and looking wide eyed as he forgets the final words of the send off. 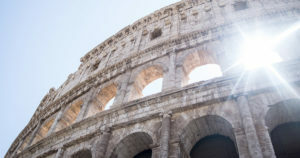 Imagine you are in the Roman Colosseum, circa 100 AD. You’ve just taken your seat as the gates in the middle of the arena have opened. Stepping out into the sun scorched dirt is a small group of men, looking shabby and unkempt, yet strangely calm and collected. The sun bares down on the charred ground as the crowd gets to its feet and begins to roar, as they know full well what’s coming. But you don’t get up with them. You stay in your seat and continue to look on among these strange men, which people around you are starting to call “Christians”.